Having taken several months off from the blogging, Goodreading, Tweeting, Facebooking world, I have found over the past week that catching up with all of these sites can be nearly a full time job. It was certainly easier, as it is with most things, to keep up than catch up. 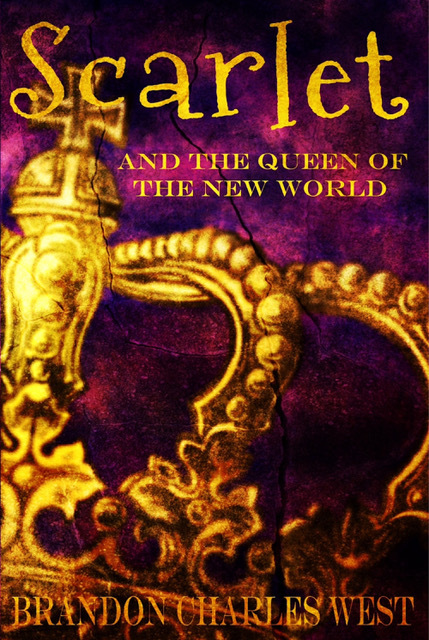 All my sites had to be updated with new information, including the release of Scarlet and the Queen of the New World, and that required a bit of stretching for someone not exactly a social media savant. That being said, and with the bulk of the updating behind me, I was able to stumble upon some useful tools, gadgets and shortcuts that I thought I would share with those of you who might be, like me, a little blogger challenged. Those of you who actually understood the Wordpress instructions when looking for a blog hosting platform may of course skim the following paragraphs. I'll start off with Goodreads. For those of you unfamiliar with Goodreads, it is basically a social media site for authors and readers to connect, for people to share books and their love of reading and get recommendations and review new books. I'll admit that I didn't take to the site at first, although I certainly could see the potential. Initially, however, I was looking at social media purely as a means of getting the word out regarding my writing. Now, I have found Goodreads to be both an excellent resource for promoting my work (after all, everyone on Goodreads is at their hearts, book-lovers) and great fun. In addition to being an author, I am an avid reader and book collector and Goodreads is definitely the place for exploring that passion. To me, this is infinitely more useful than Facebook, the flagship social media site as it were. While it's great to see what is happening with people you have lost touch with, I'm just not a "share my personal life" kinda of guy. With the vast majority of my life being occupied with my children, and I am just not comfortable posting pictures and information about them on the internet, I find that I really don't have a lot to contribute on Facebook. Goodreads has provided an excellent alternative and I don't have to feel like a mooch for posting solely about books and my work. If This Then That is a new (well, new to me) web based application that I have recently discovered which makes it easy to establish links between events and sites you need to keep track of. The application, listed hereafter as IFTTT, does pretty much what its name implies and creates automatic cause and effect events to help you save time with posts, updates and reminders online. It can be tedious to constantly have to update a Twitter account, Facebook account, Goodreads account, Blog Posts and Pages, Amazon Author Page, Shelfari, and Fan Email. IFTTT helps simplify things by making some obvious links between them and even some rather interesting links you might not have thought of. I now have the weather text to me each morning for instance. Useful, not sure, but if was fun to create the recipe as the site calls these cause and effect events. Now I'm only going to mention Feedburner briefly because while it is an invaluable part of blogging, I am so far from even educated on its uses and full applications I would be doing you a disservice to attempt to discuss it at length. I know my RSS Feed address and therefore am able to provide automatic posting of my Blog to other places. An invaluable resource that is no doubt underutilized by myself. There is a great deal of info about feeds and their applications out there so I would encourage you to do some research of your own and then promptly write me and tell me what I'm missing. My one piece of advice is that if you have a blog, take a moment to check your feed address to make sure it's accurate and working. So, that's what I got for now. I would absolutely invite, welcome, request and demand you more experienced out there to share your knowledge. Even after more than a year, I'm still very much a student of the social media/internet phenomenon and can use all the help I can get.